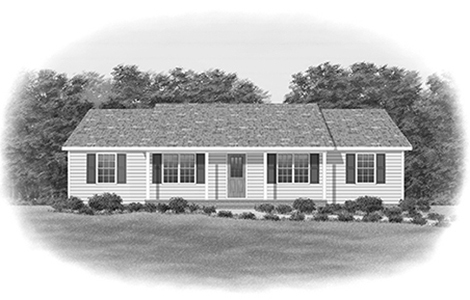 With its large front porch, pleasing symmetry, and traditional style, the Ezra fits right into neighborhoods of modest single-family homes. Its amenities include these features: "Great Room" with informal dining area next to an efficient kitchen layout. 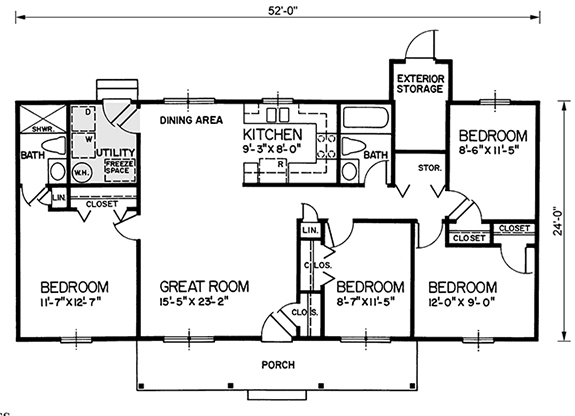 Four bedrooms and 1-and-3/4 or 2 baths. Master bedroom with private bath. A full utility room with space for a freezer. Generous storage space inside, plus an exterior storage room.